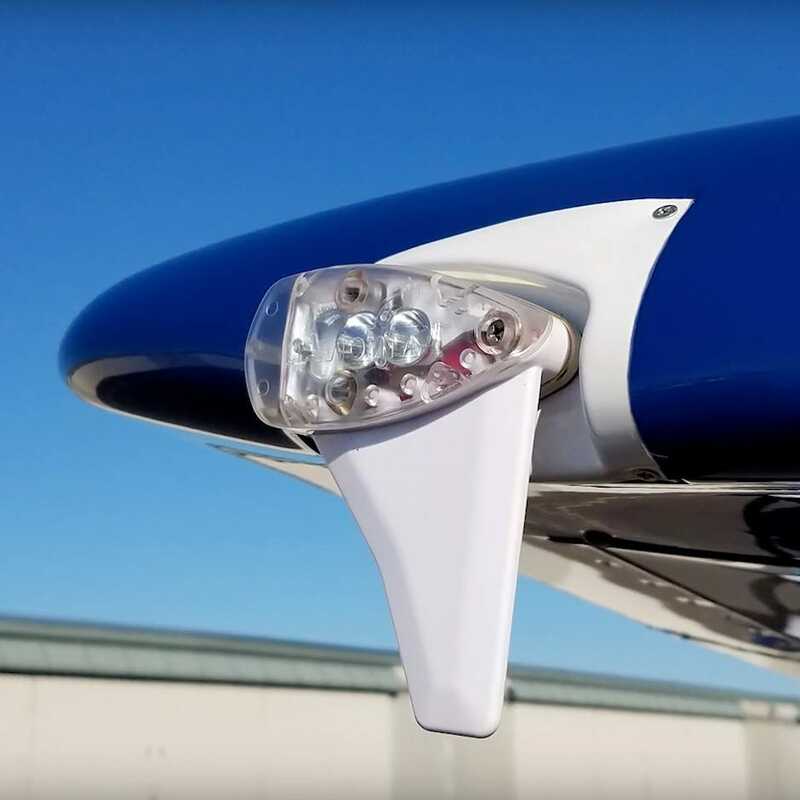 The skyBeacon replaces your wingtip navigation light with a simple, compact solution to become ADS-B out compliant. Remove your old light and install the new skyBeacon in the same location. Three wires, three screws, and an easy setup app is all it takes for most installations. Works with any mode C or mode S transponder. Some planes (like newer Cessnas) may require a fairing. See below for more info. 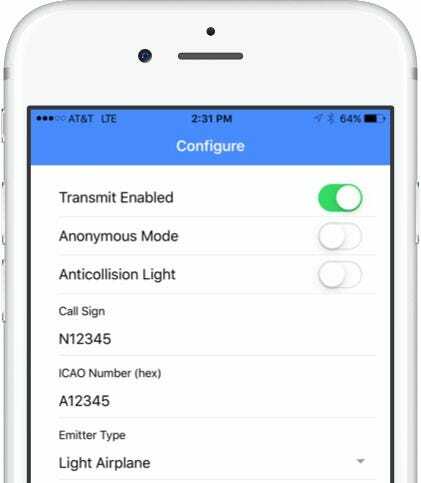 Easy configuration - the skyBeacon mobile application allows installers to easily configure the ICAO address, emitter type, and more by accessing the aircraft registration information stored online. No cables required. The following aircraft are covered by the skyBeacon AML STC. This adapter left-hand (port) (UAV-1002301-001) allows installation of the skyBeacon TSO on the following Cessna aircraft. Please note the following list assumes the factory wingtip configuration. Certified Aircraft: You cannot install skyBeacon unless you have Inspection Authority for your aircraft. We recommend you contact an avionics installation facility or your regular Inspection Authorization (IA) mechanic. Most IAs, aircraft maintenance facilities, and/or repair stations are also qualified to install skyBeacon. Please note that the installation must be tested to verify proper configuration and operation. Operational Flight Evaluation: What does the operational flight evaluation consist of? To summarize the requirements of AC20-165B (see links below): The performance flight should take place for a minimum of 30 minutes from wheels up. The aircraft should climb to 3,000 ft+ AGL and perform a minimum of two 360 degree turns in each direction. Banks in excess of 30 degrees and extreme maneuvers and attitudes should be avoided. Any climb or descent should be a minimum of one minute in length. The area of flight should have excellent radar and ADS-B coverage. Is this available with a strobe in addition to the red nav light? BEST ANSWER: Yes, it has both the nav light and strobe light. Is this approved for a Maule 7-235-B? It has the C model on the AML, only difference is the landing gear. Approved list is listed on the products web page. If your aircraft is not listed please contact the manufacturer as the list is updated by them. is this unit eligible for the FAA rebate? 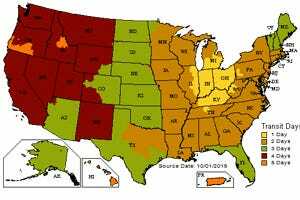 BEST ANSWER: Yes, it is eligible for the FAA rebate. BEST ANSWER: Please see the approved list of aircraft on the products web page. We understand that there may be a replacement for the other wing. Please contact the manufacturer for further details. This unit has a position light and a strobe light. If I run two each separate power feeds, one for the strobe and one for the position light, can I operate the strobe and the position light/ADS B Out units separately? BEST ANSWER: That is a very good question. I suggest an email to u-Avionix. They are very good about responding to questions. I do know that the unit has 3 wires. One wire is for power to the red position light and to the ADS-B OUT. A second wire is for power to the strobe light. A third wire is the ground. The wiring of the unit suggests a separate switch could be wired to supply power to the strobe light independent from the red position light/ADS-B OUT. My understanding is the red light and ADS-B OUT are wired internally together so they always go to together. The strobe light can be turned on and off through the SkyBeacon App but only while the device has a WiFi connection with the SkyBeacon which can only occur on the ground. Reach out to u-Avionix! They will have the answer for certain. One wire will be the nav light wire. When the nav light is on the ads-b unit is transmitting. The unit also has a yellow wire that runs the strobe, so the strobe can be turned on or off. 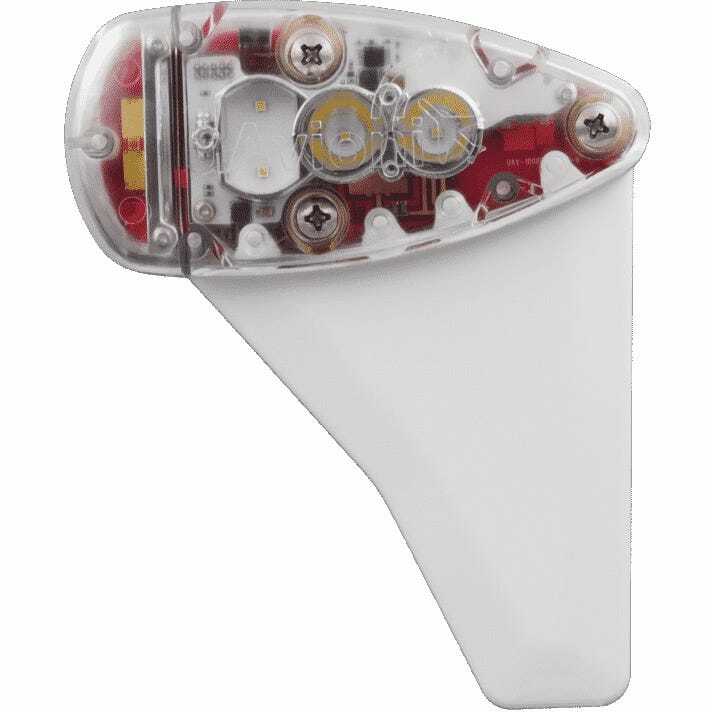 I have a jumper from the 14 volt side of my high voltage unit to the strobe, so when I turn the right strobe on, the Skybeacon strobe turns on as well. I hope this helps. Yes, the ads-b operates with position lights. You terminate the yellow wire if you don't use the strobe or run a circuit for the strobe. Is an adapter required for Vans RV12? BEST ANSWER: The manufacturer does not list the RV12 as needing the fairing. Do you mean the fairing? Yes. 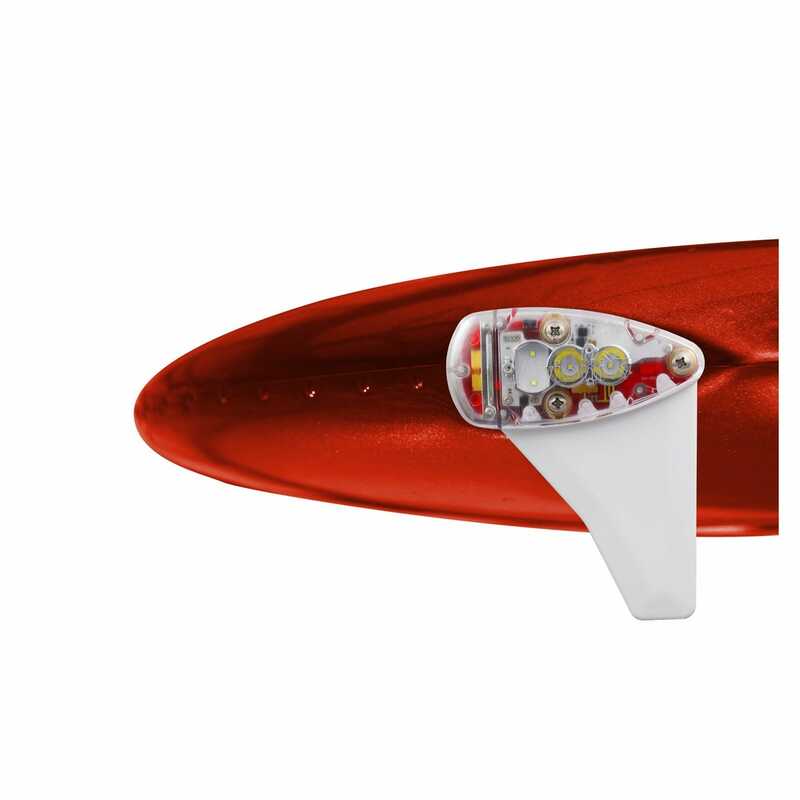 Is a fairing adapter required for RV12, built with VANS provided wingtip light / Strobe? Is there a matching or similar navigator option for the opposite wingtip? What happens when the lights burn out? Are they replaceable? BEST ANSWER: The lights are LED and not replaceable. How do you add the a/c callsign into this? BEST ANSWER: The unit is configured with an app from your phone. Will I be able to get all traffic through my stratus into Foreflight even this is only ADSB out. In for my flight plans, what letters do I use when filing, do I say ADSB out and in since I have a stratus? Will this unit fit a 2007 cirrus Sr22 ????? BEST ANSWER: I would recommend going to https://uavionix.com/products/skybeacon/ They have a template that you can download to ensure fit. The Cirrus is not listed on their site. My Bonanza has wing tanks so I would need the tail mounted unit. I don't see it listed. Do you offer it? BEST ANSWER: As of today, 3.20.19 the Tailbeacon has not been certified. Once it receives certification we will evaluate the product. Please watch our website for details. Will this be available for a Columbia Lancair? BEST ANSWER: The Ferring will be available next week. Please watch our website. Do you get a matching light for the other wingtip? BEST ANSWER: No, The manufacturer is working on that. will sky beacon work with 24 volt system on 172P? BEST ANSWER: Yes, it is compatible. Will the sky beacon fit a V35 B Beachcraft Bonanza ? BEST ANSWER: Yes, it will fit the Bonanza. 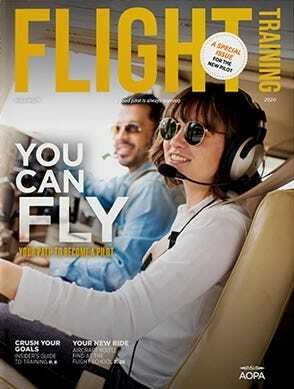 Will this work if I have an IFR certified aircraft? Is anything else needed? BEST ANSWER: Yes, it will work with IFR Certified aircraft. You will not need anything else. is it approved for helicopters R22? BEST ANSWER: We believe it is covered under the FAA memo listed below. We also recommend checking with your avionics shop. Will the SkyBeacon work on a Flight Design CT? Will this unit work on an experimental Kitfox IV? Anythng special for installation and certification instructions? BEST ANSWER: Yes, it will work. Nothing special for install and certification. Could it be installed on Helicopter A109E? BEST ANSWER: Yes, the power has to be switched on. Will this work on a Cessna 210L ? I don’t see any Cessna 210’s listed on your list of compatible aircraft. BEST ANSWER: It should work on the 210. I would recommend contacting uavionix.com. The STC list is updated regularly. Does this require an avionics shop sign off? BEST ANSWER: For certified aircraft it must be installed by at least an A&P and must be signed off by the avionics shop. How does this device affect cruise speed? BEST ANSWER: It does not affect cruise speed. Is this available for the C170B? BEST ANSWER: Yes, please see the products webpage for aircraft that the unit can be installed on. I own a 2002 Cessna T182T it has a separate glass covered strobe on the leading edge of the wing and a position light on the end of the wing do you make an application for this ? BEST ANSWER: I would not recommend this for your aircraft. This will limit the altitude of the aircraft to below 18000. It would replace both the nav light and the strobe. Is this compatible with the Czech Sportcruiser? Is this unit not available for a C210B? BEST ANSWER: Yes, the stc is online. I have a 210C so I imagine the STC is available as well. What does getting the STC involve? Typically when you register the product you are able to download the STC.